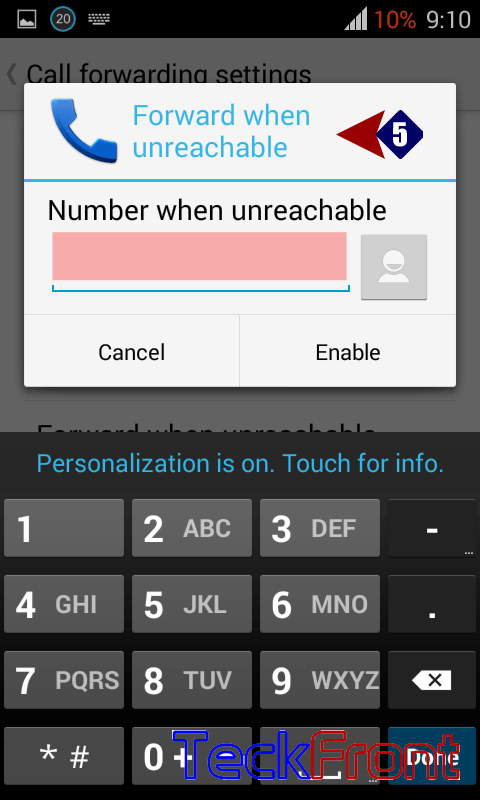 How to Set Call Forwarding When Unreachabele in Android KitKat 4.4.3 Phone? When your phone is unreachable, many important business or personal calls may miss. The solution to the problem has been presented in the Android KitKat 4.4.3 phones. It is simple. Command Line: Phone Dialer > Settings > Call settings > OTHER CALL SETTINGS – Call forwarding > Call forwarding settings > Call forward when Unreachable. 1: Tap ‘Phone Dialer’, available on the Home screen of your phone to open up the phone dialer screen. 2: Tap the ‘Settings’ button, available at the bottom right corner of the phone dialer screen. It will open up a popup menu. 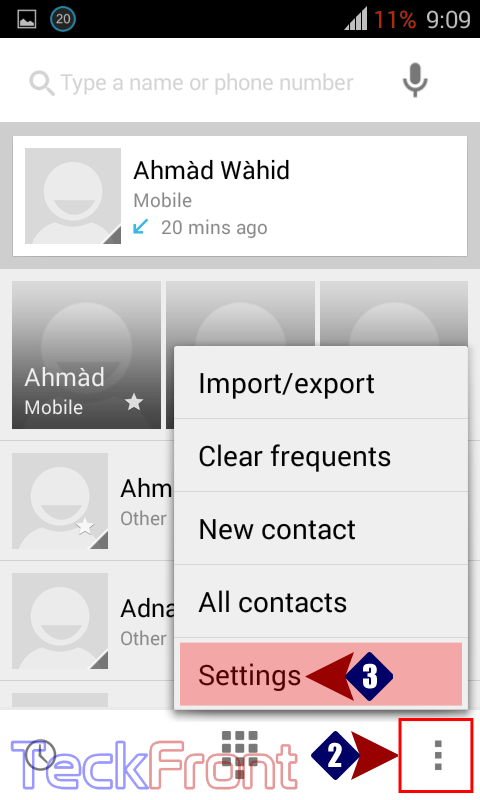 3: Tap the ‘Call settings’ in the popup menu and it will open up the call settings screen. 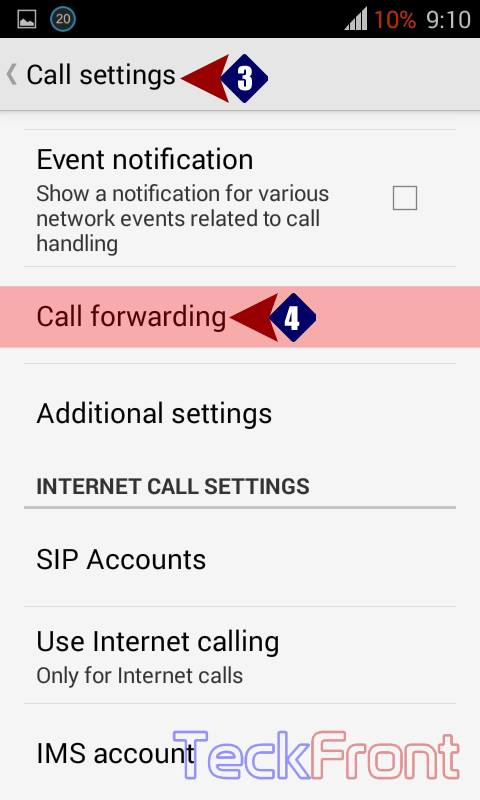 4: At the call settings screen, tap the ‘Call forwarding, under the OTHER CALL SETTINGS. 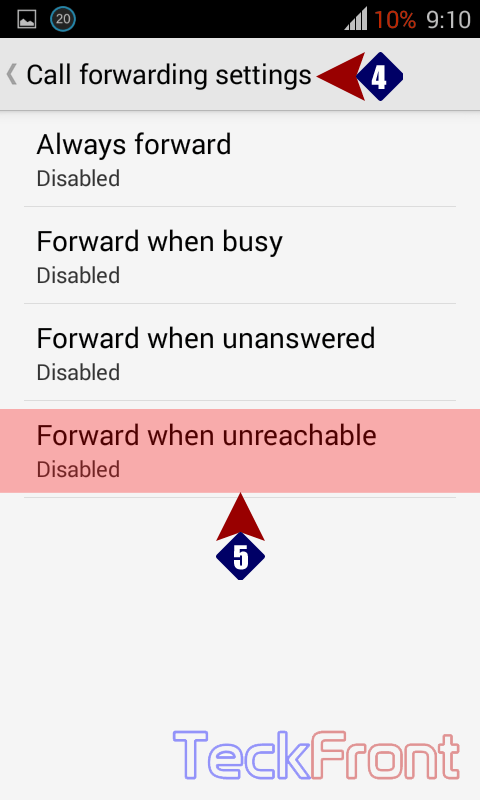 5: At the ‘Call forwarding’ settings, see the ‘Forward when unreachable’ is disabled. To enable it, tap it. It will open up a prompt ‘Forward when unreachable’. Here, a space is available to write the contact / phone number which is to to be contacted when your present number is unreachable. 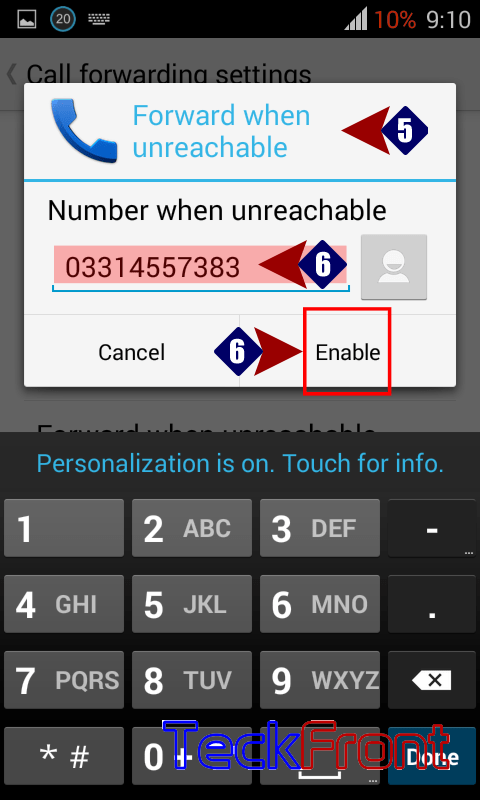 6: Write the phone number which you want to be contacted when your present device is unreachable and then tap ‘OK’ to save it. That’s all! Newer How to Clear Call Log in Android KitKat 4.4.2 Phone? 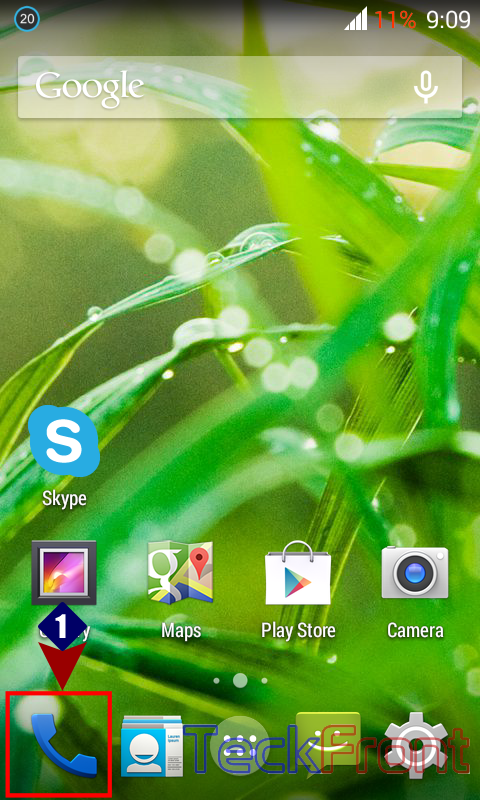 Older How to See Call STATISTICS in Android KitKat 4.4.2 Phone?